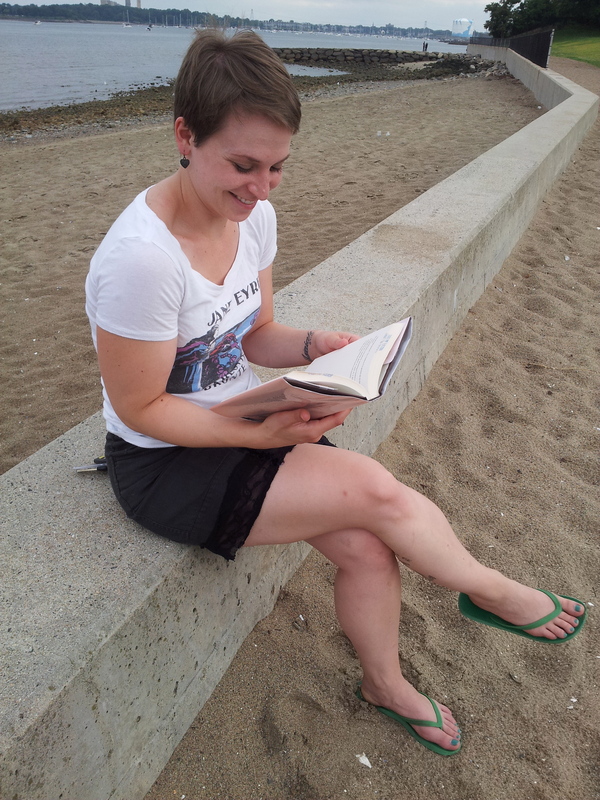 Last year’s summer reading with last summer’s haircut. Girl at War by Sara Novic – I’m not finished with this yet, but it’s pretty great so far. It follows young girl, Ana Juric, from her life in Croatia during the Croatian Civil War in 1991 and then in the U.S. right after the September 11 attacks. It is as sad as expected but the writing is great. Lumberjanes and Wicked + Divine comics – These are pretty different from each other but they are both going to be adapted so you should read the source material first. Or not – you do you. I’m trying to be less judgmental about that. Americanah by Chimamanda Ngozi Adiche – This is just really good and I can highly recommend the audiobook. The narrator has a beautiful voice. So read it. The Port Chicago 50 by Steve Sheinkin – You should read this because it’s a sort of unknown, but important story about black sailors in WWII who were tried and convicted of mutiny for refusing to load ammunition – a job pretty much only given to black sailors – without any ammunition training. Did I mention their white superior officers made best on which units could load bombs the fastest? And they only refused to load ammunition after an accident at their base that killed about 300 people? It’s a fascinating, infuriating, and important story. You should also probably re-read a childhood book that you loved or an adult book you loved. I haven’t read The Time Traveler’s Wife in a few years and I’m probably overdue for a day of gross sobbing. Read a classic; read a book by an author you’ve never read; read a book by someone who is completely different than you; read a book that makes you say, “This is my life.” Read, read, read. Let me know what I should be reading, too. In other news, I’m excited to start my stint as a member of the YALSA Research Journal Advisory Board starting this summer. I’m not totally clear on what we will be working on but I’m excited to start committee work. I’d love to translate my experience on this committee to other YALSA committees someday like a book selection committee. Maybe someday I’ll be on the Printz committee and you can get super mad at all of our choices. FUN. I have started writing for Women Write About Comics. I had a tiny news post up the other day and longer articles and essays will be up this month. You can follow that link to see the article and read my obnoxious bio at the bottom. I’m so excited about it and all the women who write for the site are smart, articulate, and amazing. I’ll probably be linking there a lot from now on, so get used to that. With the YALSA board, WWAC, and my YALSA Hub blog manager application still floating around out there it’s shaping up to be a really busy next couple of years. But busy is good! And these are all personal and professional things that I really care about. I will try to still post on a weekly basis, but if you haven’t heard from me send me a note!